Since 1997, the BLPC Law has specialized in a wide range of cases and claims. We help individuals and their families that have been denied their insurance benefits after being seriously injured in an accident. DCP makes a difference in the lives of our clients by providing assertive and attentive advice, thereby ensuring that their rights were protected. During the years that we have been in practice, we have enjoyed a solid reputation as one of the most respected and trusted legal firms in the greater Toronto area. Our team will work tirelessly to ensure that your rights are protected, and that you receive the compensation that you deserve for your personal injury claim. We try to achieve the maximum settlement in every personal injury law case, when people’s lives have been devastated by serious accidents and personal injuries. We are determined, experienced, knowledgeable, and skilled personal injury lawyers that are always focused on our client’s needs. Not only that, but the members of our staff are caring, friendly, and always compassionate. We understand how life-changing injuries can be financially, as well as, emotionally and physically devastating. By focusing on your needs and keeping your best interests in mind, BLPC Law can help you through that difficult period, which follows a serious accident with injuries. We also know that most clients do not possess a vast knowledge of personal injury law, and a winning strategy or a sufficient understanding of the litigation process. Our lawyers pride themselves on thoroughly covering all the bases to ensure that each one of our clients is given the best possible chance of successful results. If you live in Toronto, or any of the many surrounding communities, you’ll want to hire a local area lawyer to represent you in your personal injury case; rather than one from out of the area. Since we live and work in the same local area as our clients, you will be treated in much the same way as our family members, friends, and neighbours. 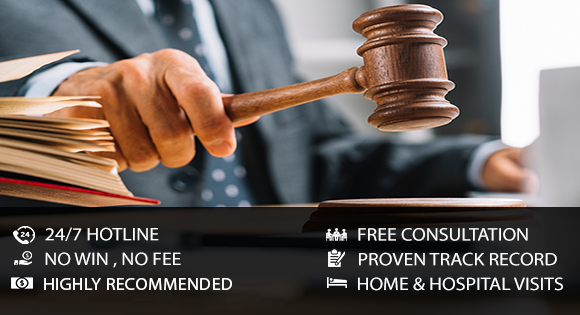 We are here to listen to you and ensure that you get the compensation that you deserve. BLPC Law has dealt with a wide range of personal injury cases over the years. Some of the clients we have represented have suffered with chronic pain, neurological disorders, orthopedic injuries, soft tissue injuries, spinal injuries, and traumatic brain injuries. In addition to these issues, we have also represented individuals who experience psychological pain and suffering due to an accident. Because of our lengthy experience in these varied areas, we are regarded as one of the top personal injury legal firms in the Ontario Province. From the initial consultation to the negotiating of an equitable settlement, BLPC Law will work hard to ensure the best possible outcome for your case. Please contact us today so we can get you the compensation you deserve for your injuries.